The cherry-blossom season is turning our town pink again. 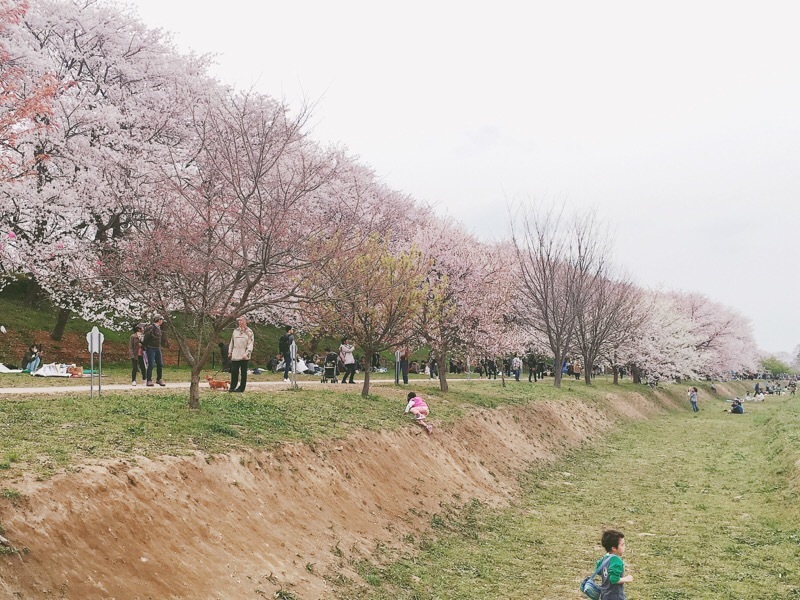 Many people are planing to go hanami picnic with family and friends, and it is always important to pick a good place where everybody can chill and have fun. 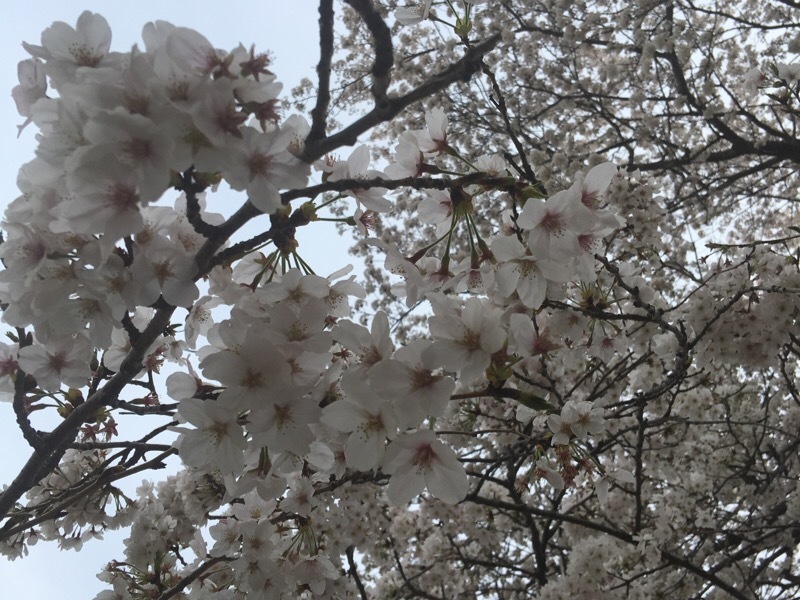 Hanami is one of the most famous traditions in Japan, if you see the from word, “hana” means flower and “ mi” means to see, when they come together, it means to enjoy and appreciate the blooming of “Sakura”(cherry blossoms). 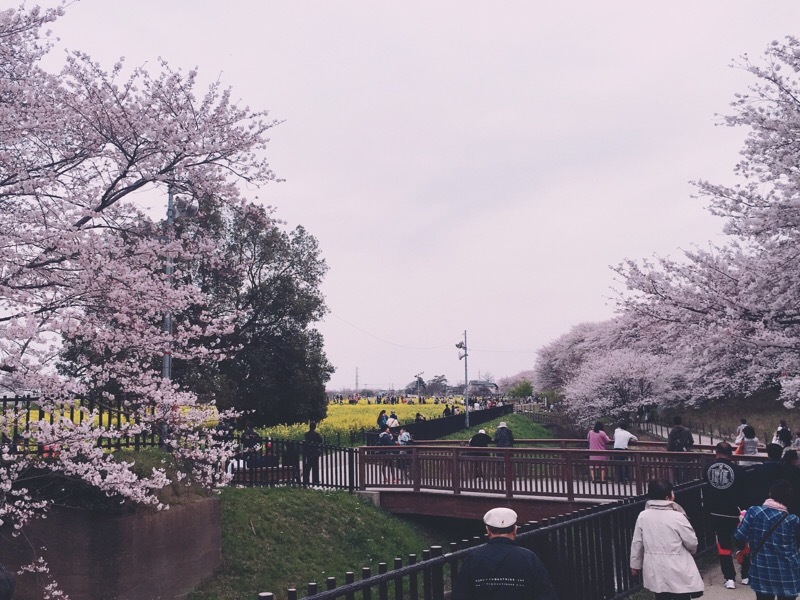 Hanami usually takes place in early April which singles the end of winter and coming of spring, it is basically sitting somewhere near the trees and have picnics with your friends and family. Some people are getting really drunk at noon, it is common at hanami. Well, for me, I haven’t really been to a traditional hanami just to sit there to have a picnic like most Japanese people do, but I would love to do it someday. Today, I would like to show you guys an incredibly beautiful place for hanami that I went a few days ago. Gongendo park, a peaceful place located in Saitama prefecture. To be honest, I had never heard of it until I saw it on the Internet but later I heard it is the most popular place for cherry blossoms in Saitama prefecture. I didn’t see many foreign tourists there, maybe Saitama isn’t that well-known? Anyway , it is very different from other hanami trip I have ever been to, and surprisingly it is not crowded like other places. 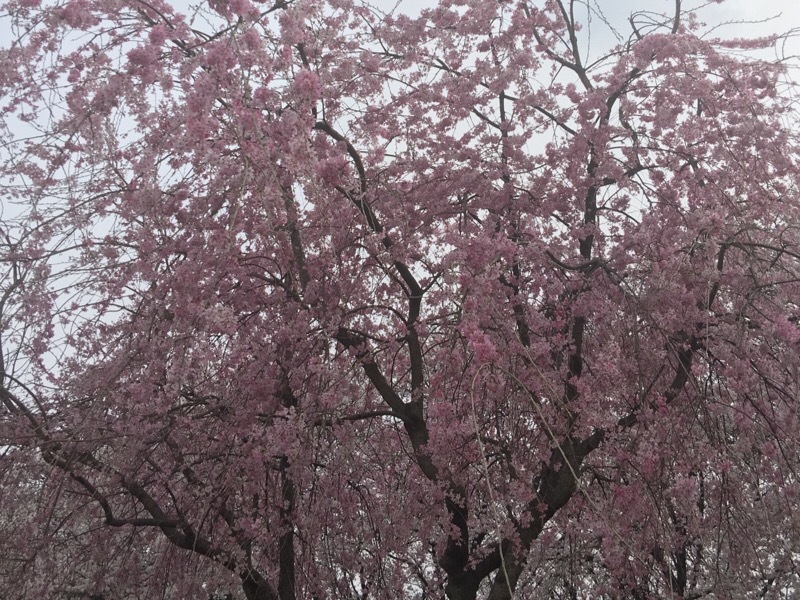 Once you get there, you will see a bunch of cheery blossom trees welcoming you. 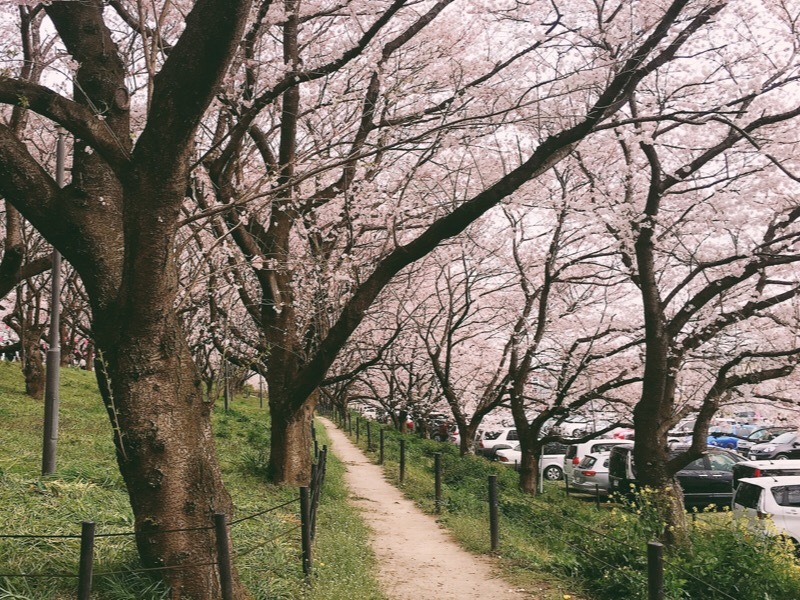 When you keep walking a little more, there you will find yourself in an endless cherry blossom tunnel. Then, you might smell something good from festival food stalls down there.Oh yeah, it is a cherry blossom festival, of course, we need food. I highly recommend“jagabata”(butter potatoes), since it is my all time favorite. The potatoes used here were all sent directly from Hokkaido. 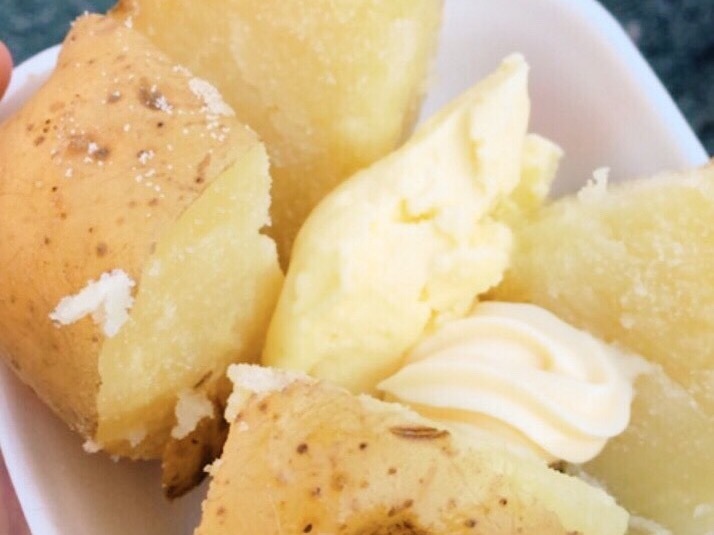 If you asked where in Japan that has the best potatoes, that would be Hokkaido. By the way, fried sweet potatoes are also yummy. There are also many traditional foods such as yakisoba(fried noodles), sausage ,shaved ice ,etc. I also saw a shop that sells Thailand noodles, a shop sells special drinks from Korea, they both looked very good. How international it is, though. Ok, enough for food. let’s keep walking ,wait.. did you see the sea of flowers? What is that? 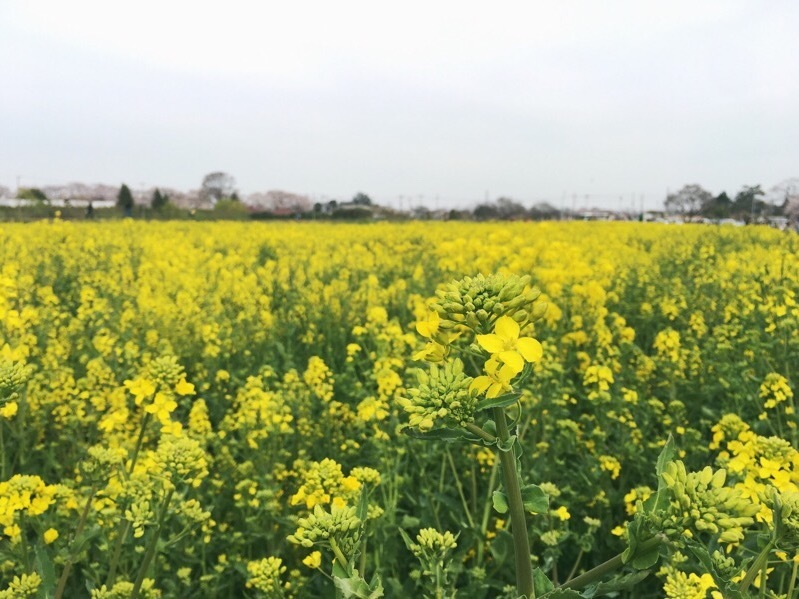 Yes, that is why Gongendo park is the best place for hanami, because it is not only about the cherry blossoms, the canola flowers here are also worth seeing. It is hard to put my feeling into words, all I can say is that I felt like I was in la-la land. I did want to dance in the sea of flowers, but obviously it is not allowed ,oops. But you can absolutely take hundreds of photos or snapchats here. Just a random picture can be a new wallpaper for your computer or phone. If you are tired of walking, it is time to sit down and relax. 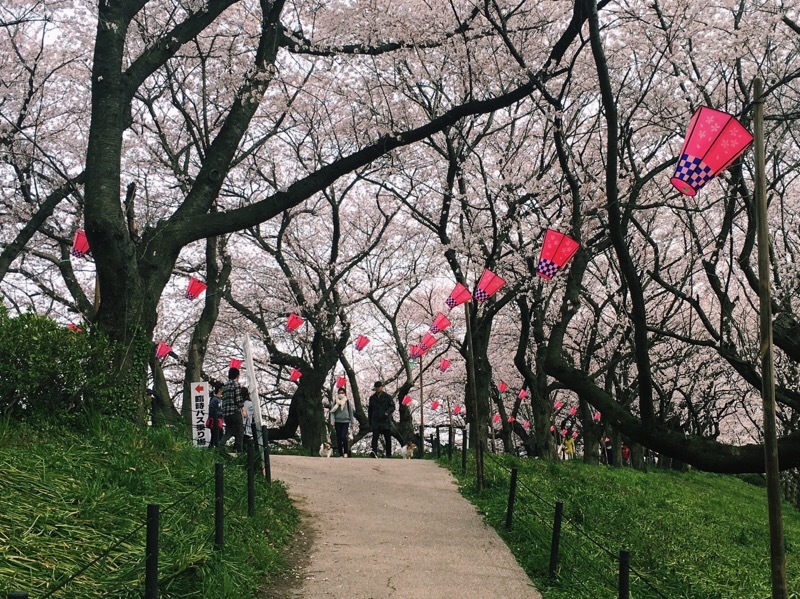 Enjoy the view under the cherry blossoms trees with your loved ones. You might find there are some special cherry blossoms as well. This one is very pinky, and the other one is whitish. There are some famous kinds of cherry blossoms in Japan,they are Someiy-oshino,Shidarezakura,Yaezakura and Kanzakura. I checked the cherry blossoms in this park are called “Somei-yoshino”( Prunus × yedoensis) , somei-yoshino is a hybrid cherry of between Prunus speciosa (Oshima zakura) as father plant and Prunus pendula f. ascendens (Edo higan) as mother. It occurs as a natural or artificial hybrid in Japan and is now one of the most popular and widely planted cultivated flowering cherries in worldwide. There are about 1000 trees here, they will last here hundreds of years or even longer, if they could speak, what would they say? One day, when we come back here, our memories will come back too like meeting some old friends. So, we already have flowers, trees here, what else? Look at the small house down there. let’s see who live in it Hi,goat-san!!! They were not afraid of people at all,I am sure kids will love this beautiful place. I also recommend you to stay until the sky turns dark, the view is totally different with all the lights on. 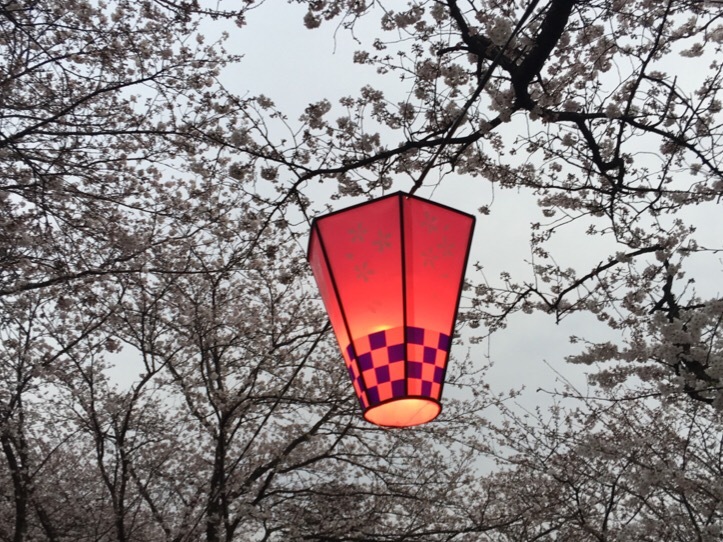 Make sure you won’t miss its “yozakura” (cherry blossom at night). So, how was it? Did you add it to your list? It is said the full bloom here is usually 10 days later than Tokyo. If you missed the cherry blossoms this time, don’t worry, you can still enjoy other beautiful flowers of each season. The red spider lily season will start in the mid- September until the beginning of October. There are narcissi in January , hydrangea in June. Isn’t it amazing? I can’t wait to see the different looks of this place. 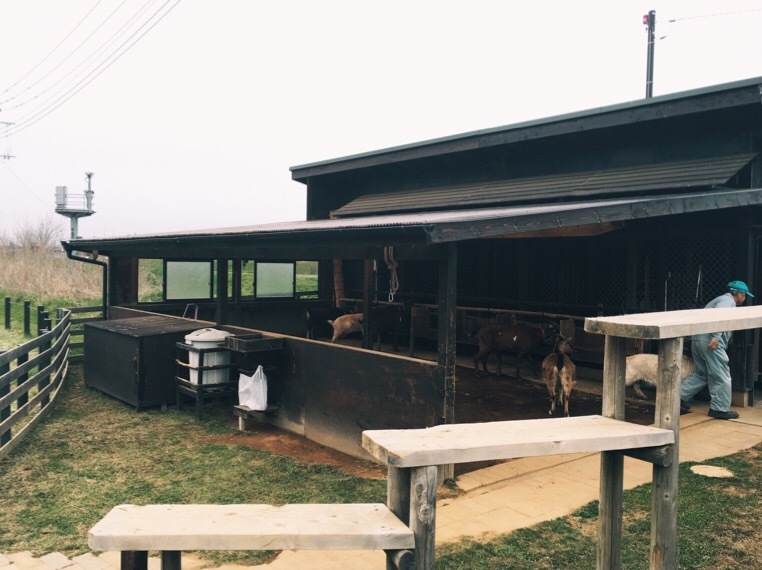 If you ever come to Tokyo or somewhere near Saitama, you must come and stay! The view here is quite different from Tokyo , the town is more quiet and laid back. It is about 1 and half hour train ride to get here (Satte station) from Shinjuku station, and get in a bus less than 15 minutes, you will find your la-la land. You will see a different part of Japan on your way here. Please make sure to check the weather before you go, the weather wasn’t perfect when I was there, but I bet it won’t happen to you. By the way, you don’t need any ticket for this park, because it is totally FREE!